My son's favourite book series is Mo Willems' Elephant and Piggie. He laughs hysterically at the crazy characters and memorizes each page so he can recite the stories over and over long after each book has been returned to our local library. The show features performances, puppet skits and sing-along action songs to keep the kiddies intrigued. 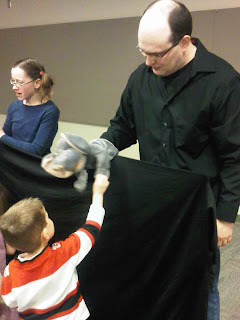 In the end the puppeteers invited the children up to meet the puppets, which was a highlight for Little J. No registration is required, but free tickets can be picked up at the desk 30 minutes before the program begins, which you may want to do for some of the smaller venues. A couple daycares can fill a room fast. We went to another performance today, and it was so well done! 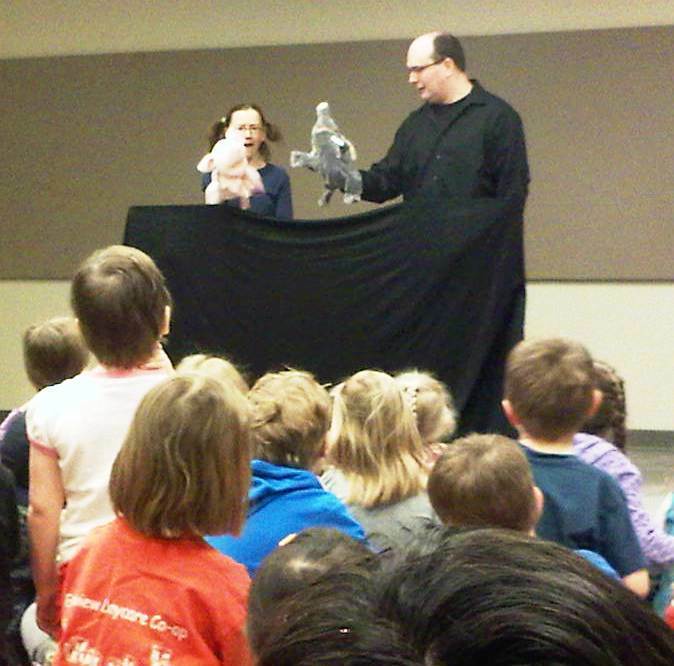 The Saskatoon Public Library does a wonderful job with its programming for children!